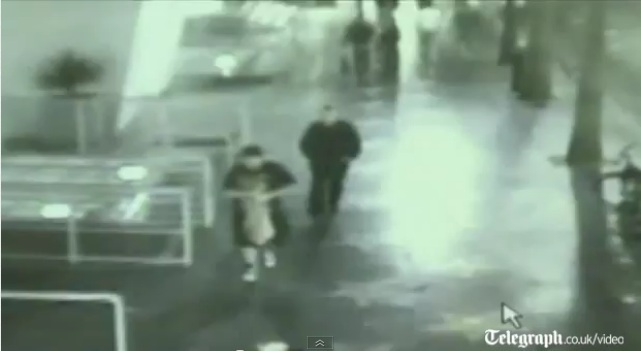 Here's an interesting example of problems with real world surveillance footage. Recently, Los Angeles was hit by an arsonist who lit dozens of cars on fire around the city. Needless to say, this created a panic around the area as people feared their neighborhoods and or cars would be victimized. At one point, the police found a suspect on surveillance video but the image was nowhere near good enough to conclusively identify the person of interest. 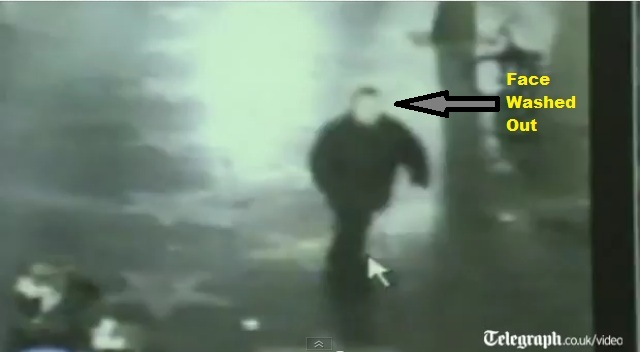 This noted, the video quality is obviously 'bad' and it's not feasible to make out any facial details. However, this is not a case of the light levels being too low. 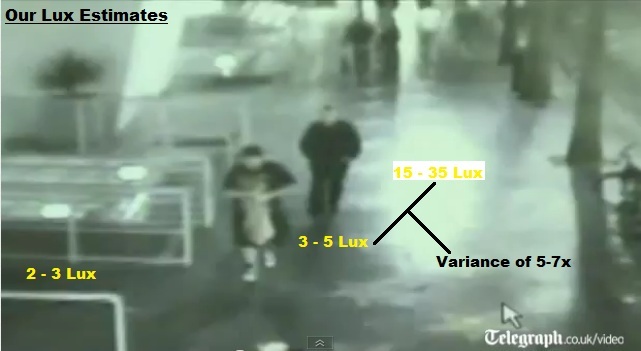 We regularly measure lux levels in similar public places at night and typically find such areas to have 3 - 5 lux - more than enough to capture a reasonably quality image. The first big problem we see in the image is the wide variance in lighting between the right center of the image with the streetlight glare and the darker left side. This 7x variance in lighting is a big problem. While most think of WDR as a daytime issue - bright sun through windows or doors, one can have severe WDR problems at night. Indeed, as we examined in our headlights harmful test results, headlights at night are a great example of this problem. Compounding the glare/WDR issue is the downtilt of the camera. Take a look below at the last image of the suspect at the bottom of the screen in the narrowest FoV. The facial image is still almost completely washed out plus you can see how sharp a downtilt the camera has towards the subject. This camera is likely mounted 15 to 20 feet from ground level. This is a secondary problem to WDR/glare but it further reduces the ability to capture a clear image. Higher resolution: With this current FoV, a 720p or 1080p camera would provide a notable and useful increase in pixel density. Day/Night camera: Given the ambient light levels, a super low light camera is not needed. As long as the camera has a mechanical cut filter (i.e. a true D/N camera), this should be sufficient. Superior WDR: Given the glare from the streetlamp and the variances in lighting in the scene, a true WDR camera should be used (see our MP WDR shootout results). Camera Mounting: To get the most direct angle to subject's faces, the camera should be mounted between lower (even 10-12 feet would provide a notable improvement).